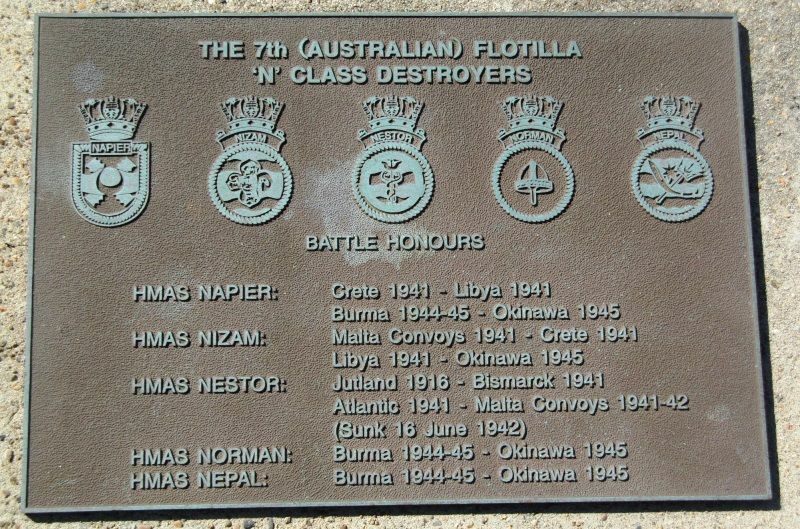 A plaque commemorates the 7th Flotilla "N" Class Australian destroyers who served in World War Two. 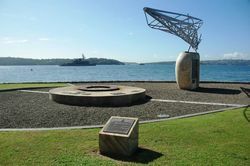 The plaque is located on a raised circular mount near the National Corvette Memorial. 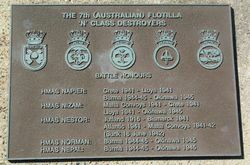 A total of five N Class Destroyers were transferred from the Royal Navy to the Royal Australian Navy and although commissioned into the Royal Australian Navy and crewed by Australian sailors they remained the property of the Royal Navy. Another three N class Ships were built and two were operated by Holland and one by Poland.